Our kids love our phones and tablets probably as much as the big kid inside us does, so it's only natural they'll want to play with them. 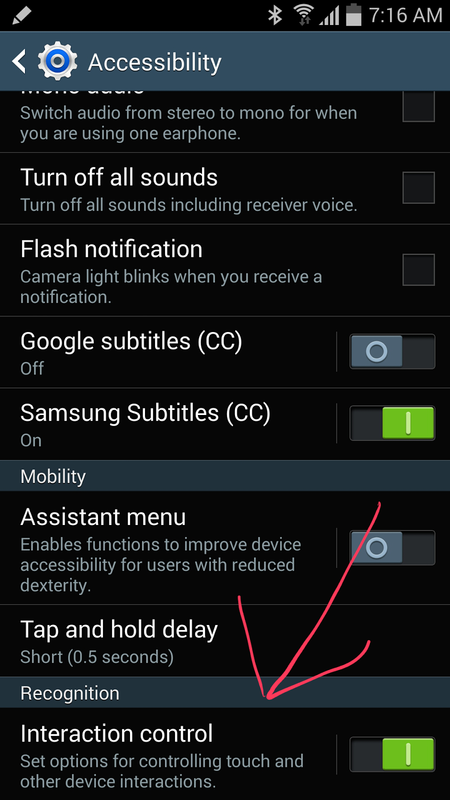 Samsung has the perfect kid mode within many of their newer devices, but it's very well hidden. I'm not talking about profiles, but something much more valuable, and I'm going to show you step-by-step how to activate this great feature. 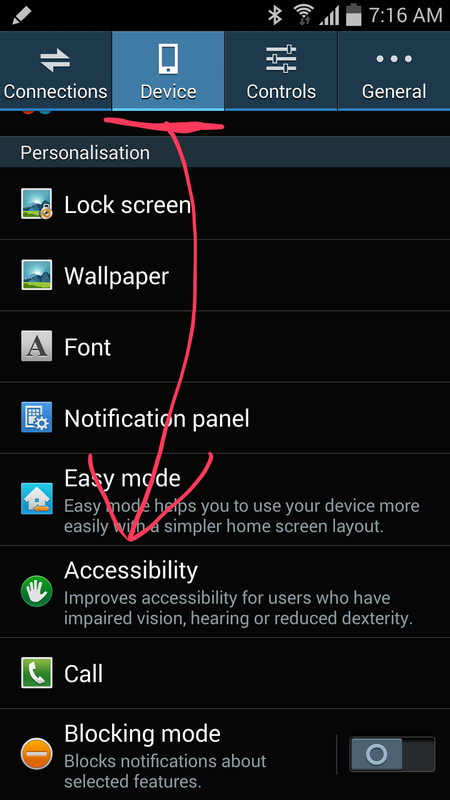 To get the ball rolling, you're going to want to go into your Settings > Device > Accessibility. Then go to the bottom of the list and enable Interaction control. 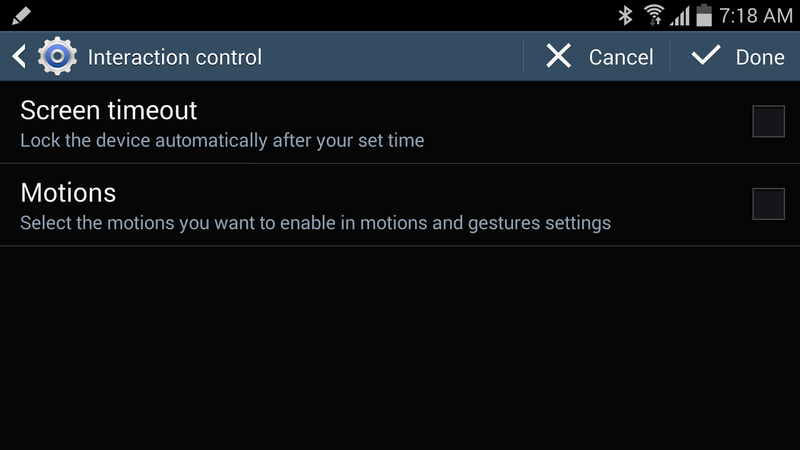 Once you've enabled Interaction control you can enable it within apps by holding Power + Volume Down. Lets say your child has a favorite game, but it has a very annoying banner that will bring your child to an in-app purchase area, or navigate away from the game to a website or Google Play store. By turning on the Interaction control, it allows you to place a non-responsive touch area on the screen, thus placing it over a banner would render it useless, as it cannot be activated. Not only does it allow you to place a dead zone on the touchscreen, it also prevents the use of hardware keys, so no one can exit the game via the home or back button. While Interaction control is turned on, your notification bar can be extended to view notification, but no actions can be done, thus your private information will be left untouched. Activating this feature is as simple as holding the Power + Volume Down buttons at the same time for about 2 seconds, deactivating is the same combination of keys. 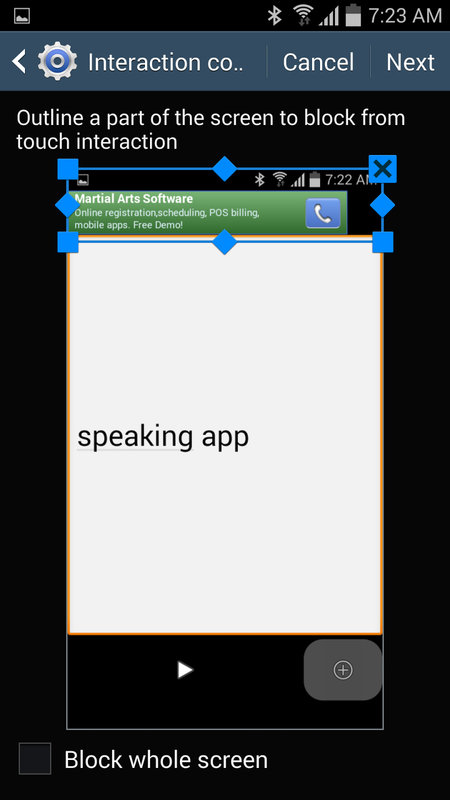 This will need to be done each time you start a new app, but thankfully it only takes 5 seconds to setup. 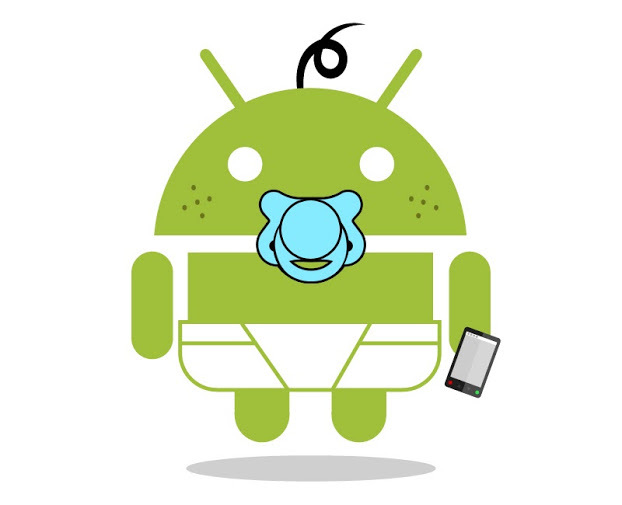 So the next time your want to let your child play with your newer Samsung device, have peace of mind that you'll be locked to their game without accidental exits, or banner clicks, while keeping your notifications untouched.